After 43 years of serving Chicago's at-risk youth, Lake View Academy celebrated its final graduating class in June of 2015. In 1972, the members of Lake View Presbyterian Church answered the call to create a community high school and opened Lake View Academy (LVA). 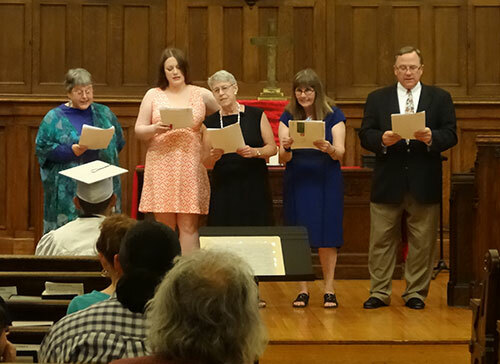 In June, Lake View Academy celebrated its 43rd Graduation Ceremony. 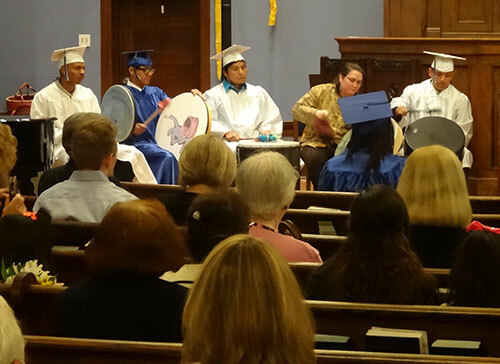 This one was particularly significant as it marked the final graduation for this exceptional school that emphasizes community-building skills and healthy life choices for its students. ASN: How did you first get involved in alternative education? Deb: I was a 7th grade Social Studies teacher for CPS. I worked with a wonderful team of idealistic young teachers. The school had some good policies in place, but they were not being utilized to the fullest. We worked together to develop curriculum and policies that helped the school turn around. We gave the students personal attention and implemented strategies that held students accountable for behavior as a group. We began to notice significant positive change in students’ behavior and attitudes. But we also noticed that after students left our care, many were still dropping out. When I met Anita Smith in 1972, she had just left a CPS teaching position to help found Lake View Academy (LVA). She was the first director of LVA and later resigned that position to focus on counseling. She was the only teacher, supported by dedicated volunteers. I was extremely impressed with the work she was doing and in 1974, I joined her as a teacher at LVA. Later, around 1980, I became principal. 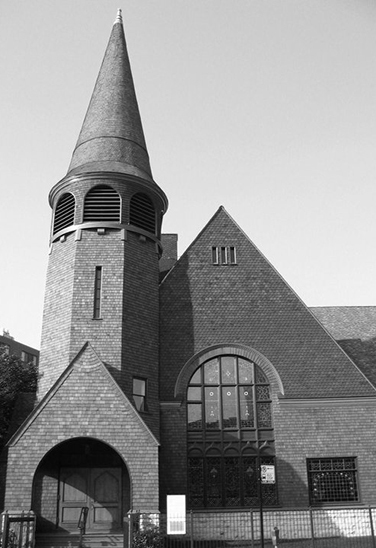 Lake View Presbyterian Church in Chicago has been home to Lake View Academy for the past 43 years. ASN: What do you find most challenging and most rewarding about running LVA? Deb: The greatest weakness of any school is not being responsive to the needs of the students who are in front of you. You have to be flexible, creative, willing to try new things and able to admit when they don’t work. You must constantly review and revise your curriculum, policies and how you handle your students. You have to keep your sense of humor. We feel a real devotion to the students and the community. “You belong to us!” I expect our students to be better than other schools’. Good students are encouraged to get out of their comfort zones and do even better. My reward is getting the opportunity to do what I am gifted and trained to do and working with an outstanding group of people who have enormous integrity. ASN: What keeps you motivated? Deb: I have had my feet in more worlds than I have feet! I have met so many interesting people along the way. I wanted to change the world. I did help save a little piece of it. ASN: How has running LVA affected your life on a personal level? Deb: It has made my life so much more interesting. Working in such a small environment allowed me to learn many new skills. I was able to be creative. If we wanted to do something, we figured it out. I was presented with many opportunities to train and influence a lot of new teachers just getting started. ASN: How did you get involved with ASN? Deb: Anita knew Jack Wuest, ASN Executive Director, through professional connections and common goals. LVA became one of ASN’s founding member schools. Through ASN, a lot of really creative and bright minds were able to come together to share information and ideas. ASN: How has ASN supported your mission and your school? Deb: ASN actually enabled the creation of community-based high schools in Chicago. If not for ASN, many of its member schools would not have been able to launch. Through ASN, we gathered to share ideas. That was most essential to alternative schools getting started and being successful. We have been able to share ideas regarding how to fund our schools, curriculum, dealing with students’ behavioral issues and finding resources. ASN continues to provide funding and resources to us. Without ASN, some of the alternative schools would be without sufficient resources to continue. ASN: What do you wish more people knew about alternative education and ASN? Deb: Alternative school does not mean schools for bad kids. They are an alternative option to the traditional school structure, which does not serve many students well. It serves many students barely adequately. One size does not fit all. Structure in many schools is alienating and even destructive to the social fiber and communities that our kids need to survive in. Kids need to feel like they belong to somebody who cares. ASN needs to keep fighting to get the word out that our schools are a real alternative to the traditional high school model. That we serve students who want out of the structure of school – not out of school. We are schools of choice. Students don’t need to be fixed – school structure needs to be fixed. School is the best thing many students have going for them. To fail them is a terrible thing. We celebrate Anita, Deb and all of the dedicated and passionate staff and volunteers that have served at Lake View Academy through the years. Thanks to them for all their success stories and student’s lives they have helped turn around every day.